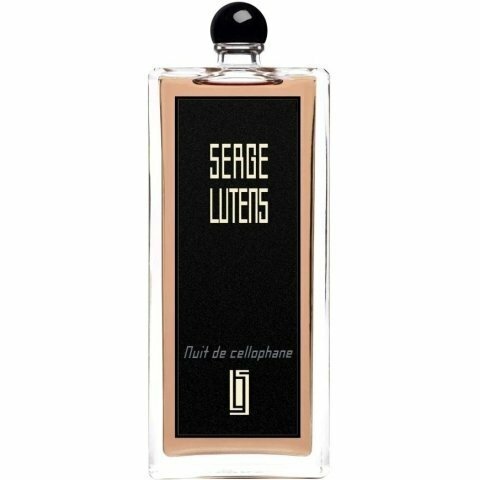 Nuit de cellophane is a perfume by Serge Lutens for women and men and was released in 2009. The scent is floral-sweet. It is still in production. I like a lot Nuit de Cellophane. 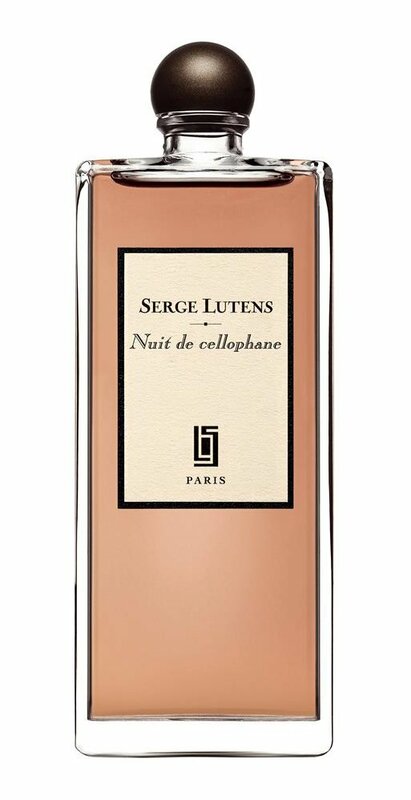 Among the whole range of Serge Lutens, Nuit de Cellophane is a young, naïve spirit that probably feels a bit out of place surrounded by so many adult, mundande, exotic characters. The scent of this fragance transports me to my childhood itself: in our school´s playground there were some ornamental bushes that in spring bloomed with little, waxy, yellow-green flowers. This flowers had a strong sweet-green scent, and dripped a sticky nectar and after a couple weeks, the scent was even more intoxicating as they over-ripen. This shrubs were not chinese osmanthus (i checked) but Nuit de cellophane recalls that plant and its glossy hard leaves. I understand the associations with shampoo, maybe due to a very clean musk? I didn´t think of it immediately, though, but it makes sense. Newness and neatness are qualities that i can associate to this perfume. So,how does Nuit de Cellophane smells if you didn´t go to my school or use that shampoo? To me, like moist apricot pulp, enhanced with heady honeyed flowers and lush green accents , a touch of orange and mandarin too. It is a happy, young, gentle scent. The clean musk/woody base keeps it from being too cloying. and after the juiciness of the opening calms down, it becomes a bit more sophisticated and adult version of itself, more floral and indolic, where lily glows over the apricot/osmanthus botanical sap sweetness. Now and then nuances of bitter almond milk. After such a long, fun sleepless night, it will dry down to a dizzy honeysuckle-like floralcy and musk. Definitely interesting and enjoyable, although not extraordinarily complex. Shimmery Jasmine Cellophane--or is that shampoo? 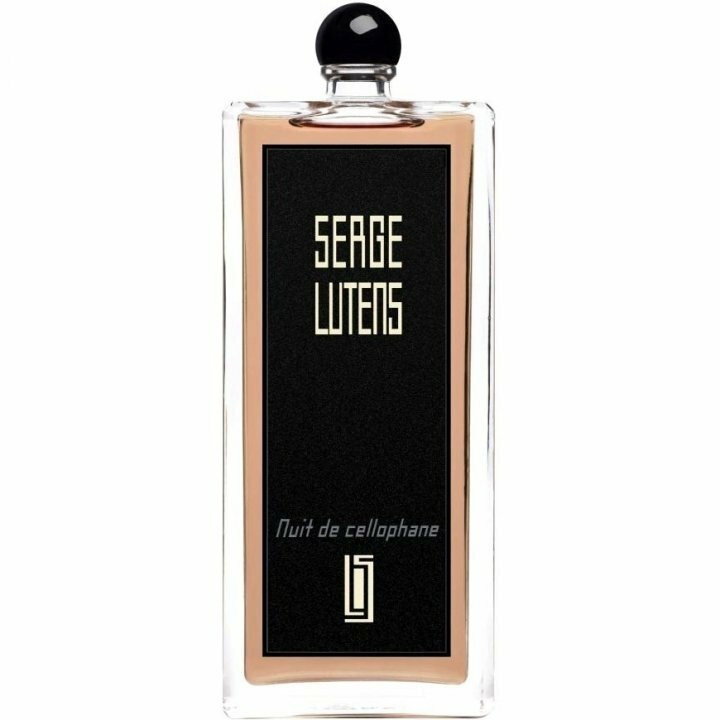 I had a very interesting testing experience of Serge Lutens NUIT DE CELLOPHANE because one of my two tester vials apparently was not properly sealed, so nearly all of the liquid had evaporated. What remained was a very thick, perfume oil-like elixir. I applied it to my skin in the manner of parfum, and discovered a beautiful osmanthus-jasmine scent with a slightly soapy drydown. Next, I added water to the empty "parfum" vial, covered the top with my finger, shook it up and poured the contents all over me. It smelled really beautiful: a resinous, clear jasmine. Finally, I applied the edp liquid from my properly sealed vial and discovered at last the cellophane aspect of this composition. The jasmine now clearly dominated over the osmanthus and even seemed ever so slightly indolic. I enjoyed this creation in every concentration I tried! If I acquire a bottle, I may siphon some off and let the solvents evaporate to produce a small volume of the "parfum" in my unsealed vial. I received a fresh sample of NUIT DE CELLOPHANE with a recent order and discovered that it really is fundamentally a shampoo floral, just as Aromi and others have observed. I am reminded, in particular, very much of Bond no 9 CHELSEA FLOWERS. I'm not saying that Chris & Serge copied anyone but there does seem to be a shampoo floral movement underway. I was considering the possibility of acquiring a bottle of this perfume, but now I am thinking that if the day arrives when I succumb to the temptation to add something from this twenty-first-century fragrance group to my collection, I'll probably opt for one of the big Bond no 9 bottles instead (it was not all that difficult to drain my CHELSEA FLOWERS purse spray)... For now, I'll continue to wash my hair. Write the first Review for Nuit de cellophane!